Geography: North West, Lancashire. Part of the Blackpool council area. Profile: Blackpool is a famous seaside resort that boomed in the nineteenth century as the favoured destination for Lancashire`s industrial working class. The attractions of Victorian Blackpool remain to this day - the Blackpool Illuminations, the piers, the pleasure beach and the Tower. Like most seaside towns it has suffered economically from the growth of cheap foreign package holidays, but tourism remains the dominant part of the economy. Blackpool South contains the bulk of Blackpool, including the centre of the town the three piers and the major attractions. Politics: Both the Blackpool seats are marginals between Labour and the Conservatives. Blackpool North was a Tory seat until the Labour landslide in 1997 when it was won by the current Labour MP Gordon Marsden. GORDON MARSDEN (Labour) Born 1953, Manchester. Educated at Stockport Grammar School and Oxford University. Former university tutor and editor of History Today. Contested Blackpool South 1992. First elected as MP for Blackpool South in 1997. PPS to Lord Irvine 2001-2003, to Tessa Jowell 2003-2005, to John Denham 2009-2010. Shadow minister for higher education since 2010. PETER ANTHONY (Conservative) Singer and former hotelier. Former Oldham councillor. GORDON MARSDEN (Labour) See above. DUNCAN ROYLE (Green) Environmental consultant. The Tower and tourist areas have only been in this constituency since 1997, from 1945 until then they were in Blackpool North under its old boundaries. The Tower and the Winter Gardens joined Blackpool South in 1997. This is a seat I could see UKIP taking far more Labour votes than Tory votes. By contrast , UKIP may take more Tory votes in Blackpool North & Cleveleys than Labour. The result could be both constituencies changing hands. Tories should be able to swap this constituency with Fylde and Wyre & Preston North people in 2015. I’m sorry, were you saying that the Tories might win Blackpool South? There is very local evidence to suggest that Labour are in any danger here. The Tories are now struggling throughout this constituency except perhaps in the Squires Gate area, or would expect to struggle in any circumstances except those where they have a clear national lead over Labour. The circumstances that would amount to a Conservative Gain would be a swing to the Conservatives in 2015 and also UKIP taking more Labour votes than Tory votes. Following 1987 this constituency became a target seat for Labour for the first time and was extreemly marginal following 1992. Boundary changes in 1997 reduced the 1992 Conservative majority of under 2000 to around 200 – 300. In the 1992 – 1997 parliament Labour achieved leads in the sum of the wards that formed the constituency of some 40%. This seat (like its neighbour) is still much more Tory that its demographics would suggest (typical for seaside towns), and it could fall, but only in the scenario that Barnaby suggests. When Labour set a new precedent of performance in seaside towns in 1997 (taking many coastal towns they had not tradition, or gained before) that the Conservatives had held with considerable ease in 1945 and 1966. Have the Blackpool constituencies become much poorer over the years or is this more a case of working class Tory voting traditions dying out in seaside towns? Or could it be a bit of both? It’s both of those things. I don’t think the Tories will ever win here again unless there are dramatic boundary changes. For the Tories to get back into contention, the Boundary Commission would have to tie the southern end of Blackpool with Lytham. I don’t see that happening because there is frankly no need for it to happen. Although there is a very small area of Fylde borough which does join seamlessly with Blackpool, by Squires Gate station (I know this because my grandparents lived there for many years), most of St Annes-on-Sea (not Lytham which is further away) is separated by large expanses of sand dunes from Blackpool & wouldn’t be a very good fit in a Blackpool constituency. Nor would the residents of that rather staid town particularly want to be in one. The original local government boundary proposals in the 1990’s considered extending Blackpool to cover the whole of the Fylde peninsula (Fylde DC part and Wyre DC Part). Had these changes come into force it would have made Blackpool stronger for the Tories and would have impacted on the 2010 Westminster constituences (too late for 1997), resulting in three constituencies; that would be something like Blackpool North & Fleetwood, Blackpool Central and Blackpool South, Lytham & St Annes. One would be fairly secure for the Tories, one competative and the other a fairly safe Labour seat. Interesting that the political trends have been so similar despite the state of the towns going in completely opposite directions – Brighton is a much nicer place than it was 20/30 years ago and Blackpool is much grottier. I think that we should look at the local election results here next year, as for other metro areas. Once this has happened we can see the UKIP effect here and see who is losing votes to them. Having said that, I think that the Tories have no chance of winning here; in fact UKIP probably has a better chance (though such an event is unlikely). Bob first, then a green ramper now a ukip ramper. How depressing. How rude. My predictions are almost always accurate. Who is Bob anyway? Bob is someone who wrote tiresome comments on lots of seats that Labour will win on small swings, stating the bleeding bloody obvious. We do expect rather better than party supporters just touring round the site posting how well the party they support is going to do on every page. It gets extremely dull and doesn’t add anything to the site. In the traditional pre-1997 boundaries, Blackpool North and Brighton Kempton would still be Labour but Blackpool South and Brighton Pavilion would be slightly less Labour but not hugely. The pre-1997 would have had a Labour majority of around 1000. It gained 4 Labour inclined wards in 1997 from Blackpool North but returned two of them in 2010. Well, not quite always. It was split Lab-SDP in 1983 (having been won by the fledging SDP in the 1981 county council elections) when numerous other wards in the town were won outright by Labour (St Peters, Moulsecoomb, Tenantry, Queen’s Park, Stanmer & Hollingbury). But it is true that it was one of only 3 wards out of 16 won by Labour in 1992, and the least marginal of those. The others were Seven Dials & St Peters. Funny about Severn Dials as thatr has gentrified rapidly over the past couple of deacdes and is now the most sought-after locations in town – with rent prices that match. I lived there myself for many years, before moving rather reluctantly to Patcham. Tim: you weren’t the Alliance candidate for Mid Staffs in 1983 and 1990, were you? Sorry to stay on Brighton on a Blackpool thread – Seven Dials ward included the Prestonville area which is now (perhaps incongruously) in the Preston Park ward. That area has quite a significant expanse of terraced streets where the houses open straight, or almost straight, on to the street & is rather similar to the Hanover area in which you now live. I suspect that it was that part of Seven Dials ward which saw the largest movement from Alliance to Labour following the break-up of the Alliance – it had been their only ward in the town from its formation in 1983 until Labour’s breakthrough in 1988. Labour weren’t even in contention there until 1987. I really like that comment, as it essentially describes me as well. I did however run for office once….aged 26 in 2002 in a Labour council ward….it’s something I won’t ever do again though. Which party did you run for? Conservative, Penge & Cator ward in Bromley. Has Blackpool South become poorer or has it always been fairly working class with strong Conservative traditions that have simply died out over the course of time? 1) More people in Blackpool may work in the public services (locally or commute to Preston) in place of tourism. 2) Many of the boarding houses may have become long term B & B facilities used by the housing departments of the surrounding local authorities. 3) Blackpool (like Brighton) may now has a substantial LGBT community that has moved out from the neighbouring large cities and be more inclined to vote Labour. With these changes, why does the adjacent Lytham and St Anns remain so solidly Tory and apparently unaffected by the shift to Labour in the adjacent constituency? I think Blackpool South has always been rather working-class. I know Alan Bennett recalled in his Diaries that his mother would never dream of staying at the southern end because it was common. I think the decline of Tory fortunes mirrors what has happened in other working-class coastal resort areas. You have above average numbers of long-term unemployed combined with significantly above average numbers working in routine or semi routine occupations (about a third of those in employment). I am not sure about Peter’s point. It is true that Blackpool South is ranked 94th out of 578 for number of human health and social workers and 102nd for public administration workers but education workers are unsurprisingly not that well represented. Wouldn’t Preston’s public sector class live in Fulwood these days? The 578 in question is the number of English and Welsh constituencies. I’ll now turn to Peter’s question. Firstly, it is only fair to point out that Tory fortunes have declined a bit in Fylde relative to 1992. Saying that, it’s possible that the sluggish 2010 result could have had a bit to do with the changeover from Michael Jack to Mark Menzies. Secondly, the reason it is still a safe Tory seat is that it remains a leafy residential area for the non-metropolitan middle-classes- working and retired. Even now, senior managers, professionals, and lower middle-class administrative workers are very well-represented. A fairly cursory comparison of Lytham St Annes & Blackpool will show that apart from fact that they both have the sea & beaches the 2 areas hardly resemble each other at all. Even in Squires Gate (the most Conservative-inclined part of Blackpool S) the owner-occupied semis have next to no garden – I remember noticing that on one of my many visits as a child. Not surprisingly those retirees who have moved to Blackpool are less wealthy & less Conservative than those who live in Lytham St Annes. The boundary between the 2 is a bit woolly around Squires Gate station & the tram terminus – the Lindsay Court flats where both my grandparents & my Great-Uncle Reuben lived are officially in St Annes but are joined on to Blackpool, whereas the rest of St Annes is separated from Blackpool by extensive dunes & the Pontins holiday camp, and I’d submit the difference between the 2 places is very clear almost immediately. Agreed, Barnaby. One of the reasons the physical separation has been maintained is of course the presence of a Green Belt between the two settlements. One of the few similarities I can spot is the presence of those delightful stone-mullioned windows on the semis…the Fylde Coast apparently shares this architectural quirk with Cardiff. Indeed, I was able to immediately spot from the presence of red-brick, mullioned terraces that one of the scenes in the early Russell T Davies Doctor Who’s was filmed in Cardiff despite being supposedly in London #geographygeek. 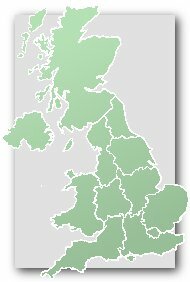 Speaking of coastal towns, its fair to say that Blackpool South, Southport, Sunderland Central, Tynemouth, Great Grimsby, Cleveland East & Middlesborough South, Wallasey and Sefton Central may have been won by the Conservatives if situated in the South…..while Thanet South, Hastings & Rye, Brighton Kempton, Dover, Gillingham, Sittingbourne & Sheppey, Rochester, Chatham, Dorset South, Camborne & Redruth, Plymouth Sutton & Devonport, Portsmouth North and Portsmouth South may have been won by Labour if located in the North. On the subject of the two towns’ leftward drift…this is actually the result of two different phenonemons. In Blackpool, like most seaside resorts (in Sussex note Hastings), the leftwards drift is a reflection of economic decline. Brighton’s leftward drift is more linked to the increasingly trendy, bohemian nature of the town. Even when Brighton was grotty it was grotty in an intellectual, student way, whereas Blackpool was far more DSS-led. This rather different expression of left-wing allegiances can be seen in the very strong performance of the Greens, with their generally trendy profile, in Brighton, and in contrast their weakness in Blackpool. The one similarity between Brighton and Blackpool is the presence of very large gay populations, but again these are very different sorts of communities. The one in Brighton appears affluent, trendy and confident, whereas Blackpool’s gay community (Basil Newby aside) is generally much poorer (albeit extremely fun-loving…I have had some of my best nights out in Blackpool…Brighton can be expensive and prissy). I don’t think LGBT voters have a greater propensity to vote labour. Between 1992 and 2010 they certainly did. However I believe that will change in 2015, and there is indeed plenty of evidence from polling that gay voters view David Cameron much more favourably now than in 2010. Certainly he deserves to increase the Tory vote share having staked so much political capital on gay marriage, one of the few things he seems to deeply believe in. By virtue of being childless, gay voters are generally more career focused, richer and less dependent on the state than the average 30 or 40something heterosexual, which should imply a large amount of potential for them to vote Tory (though the overall numbers might not be that big). I have to say it seems the doubters on gay marriage (which to a certain extent included myself) seem to have been proved wrong. The sky indeed hasn’t fallen in, and life has continued pretty much as normal. I’m not too proud to say that my gay next door neighbours changed my mind on the issue and perhaps that’s happened to many other people too. Like it or not – he actually led the party for a change. Sure, he didn’t get majority support, but he looked like a strong leader. I would like to see more of that. As a gay man I recall a poll in the mid 1980s that implied the community was around 50-50 Labour-Conservative which may seem surprising, but remember how unelectable Labour seemed at that time. The more business-like attitude of Labour in the 1990s and the apparent then unwillingness of the Conservatives generally (notwithstanding some positive moves by Major) to reform their position on gay rights really shifted things Labour’s way in the 1990s. I agree that everything David Cameron has done means that the Conservatives certainly deserve more gay votes now…whether that happens remains to be seen. It is worth remembering that while gay men and women may, unless they choose otherwise, often gain the advantages financially of not having to pay for children, but it does pay to remember that many LGBT people find themselves, sadly even now, shorn of family money that is often unlocked for heterosexuals, plus many faced employment discrimination in the past, so it is not always true that we are richer. If it’s true that gay voters are going to swing from Labour to the Tories, against the national trend, it could make Brighton Kemptown uncomfortably close & maybe even Hove. Having said that, I think that the Tories have no chance of winning here; in fact UKIP probably has a better chance (though such an event is unlikely). May I be the first in 2014 to say “horseshit” please? You should also remember that Labour was far more dominated at grassroots level by working class heavy industrial unions at that time. In many respects Labour was the more homophobic party in the 70s and 80s, and for a few years the defeat of the hard left entrenched that. In the late 60s and early 70s Labour was perfectly willing to make sly jabs at the uncomfortable bachelor lifestyle of Heath in comparison to the family man Wilson. Callaghan was also famously social conservative. You’re right that the turning point was probably Section 28, together with the numerous very cruel comments by Tory backbenchers about AIDS. Once Labour were perceived as trustworthy on the economy by 1997, the gay vote cemented to them. Simon Hoggart told a story about a Yorkshire miners’ Labour MP, Mick Welsh, being in the House of Commons shower with a public-school Tory, Tristan Garel-Jones. Replying to Garel-Jones’s observation that public school chaps & miners both take a shower or bath together, with other people, Welsh replied “Aye, but WE can risk bending down to pick up t’soap.” That perhaps while not unamusing in its way is a good illustration of what H.Hemmelig says. The 2 MPs served together from 1979 to I think 1992. HH & RR – true, that in the ’80s, gay marches allied and were made up of the far Left and given funds by Ken Livingstone et al. After all, Peter Tatchell was Labour back then and is now Green. There was a poll of gay voters in 2010 that gave the Tories a slight lead ie 29%, 27%, 22%. But Grayling’s B&B comments provided a late swing to Labour amongst LGBT voters. I recall some young Tory activists also defected. I don’t think a poll has been taken since. RR – that’s a good description of the different make up of the LGBT/Left in Blackpool & Brighton. HH – gay marriage hasn’t come into effect yet or any legal challenges to churches. Also remember that not all gay voters supported gay marriage. I was also struck by how few civil partnerships have occurred. There was an initial flourish made up of aged couples who had awaited the change in the law. But as Merseymike bemoaned in some boroughs eg Knowsley there were hardly any. IIRC around a dozen pa. Knowsley Council is very ‘gay friendly’ in a PC way, although this hardly reflects the working class estates in Kirkby. I believe Brighton, Blackpool had the most civil partnerships per capita over the past 5 years. There is a possibility that the Tories may start picking up some gay votes in 2015 simply because section 28 is now well and truly dead as a political issue. I found it astonishing that even at the 2010 general election Cameron had to go out of his way to reassure the LGBT community that a Conservative government would not re-enact section 28. Section 28 had a purpose in dealing with some of the loony left councils in the late 80’s, but it had a limited shelf life and Labour were right to repeal it in 2003. And I’m saying that as a Conservative supporter who takes a traditional tory view on social/moral issues and who opposed legalising gay marriage last year. It demonstrably had no purpose. Not a single conviction. The idea that homosexuality was promoted on anything other than an extremely rare basis is totally laughable.